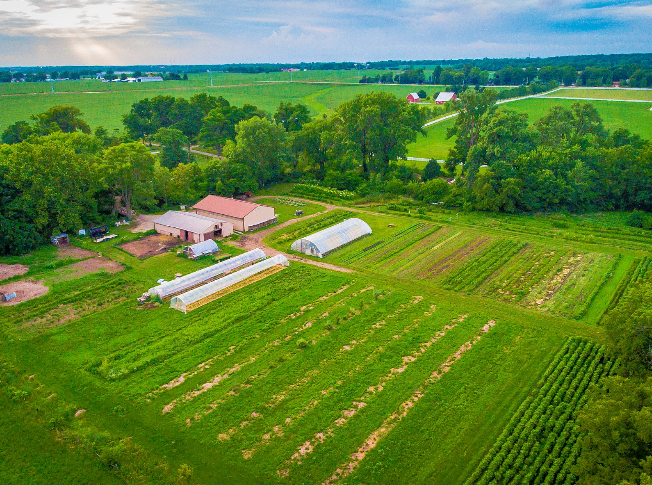 BLOOMINGTON – A prominent McLean County chef, entrepreneur, and farmer is indeed selling the farm, but it’s because his business is growing, and he’s moving all operations to a much bigger farm. Ken Myszka, owner and CEO of Epiphany Farms Hospitality Group, is moving all operations from the 9.2 acres he’s selling south of Bloomington to the 70 acres he owns in Downs. The sale price for the smaller homestead, as listed on Zillow.com, is $395,000. It’s not your ordinary homestead, as Myszka planted orchards seven years ago to grow fruit including apples, peaches, pears, plums, nuts, cherries, currants, persimmons, and all sorts of berries. He also grows asparagus, there are three greenhouses, and a livestock barn. Part of the deal is that the new owner will be able to sell the food to Myszka’s three local restaurants. 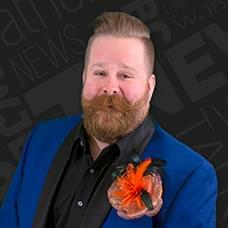 “We want to empower more farmers, and we’re hoping that someone can take it and roll with it,” Myszka told WJBC’s Scott Miller on Friday. “I’ve had a lot of inquiries so far, and I’m very confident that someone is going to want to jump on it, so I’m excited,” Myszka also said. Myszka wants to hold firm on the sale price, and he’s going to be selective about a buyer. “I want to make sure that everything I’ve invested in here isn’t going to be mismanaged. So I could sell it with a contract that anything you bring to market, we could be able to buy it at our restaurants and utilize it. I could also help with mentoring,” Myszka also said. An example of how his business has grown, Myszka said eight years ago he couldn’t afford to buy the farm he’s now selling without the help of a friend. Now, he wants to help someone else get started selling locally-grown produce to the community.